Following on from my post on decoding French white wine it only seemed fair and decent to do the same with reds. Some of the best red wines in the world come from France and the names of Bordeaux and Burgundy are synonymous with fine wine. I love Burgundy and am fast becoming far too interested in Bordeaux so this post will concentrate on them, and the other wonderful red wine producing area of the Rhone. There are some other wonderful regions to explore red wine options in France, and more often than not, at far more affordable prices – I will cover these off next week. I hope this guide helps you match grapes to regions as well as giving you a bit of inspiration to go and try out a few new wines over the festive season. Well we all need an excuse don’t we?? Probably the most famous red wine producing area in the world and commonly referred to as claret in the UK (and not anywhere else!). Most red Bordeaux you buy will be a blend of grapes, most likely containing at least 2 varieties of either Cabernet Sauvignon, Merlot or Cabernet Franc. Red wine production is divided into 3 main sub-regions (there are many more!). On the left bank of the Gironde estuary you will find the Medoc, home to the famous first growth (Premier league – remember!) 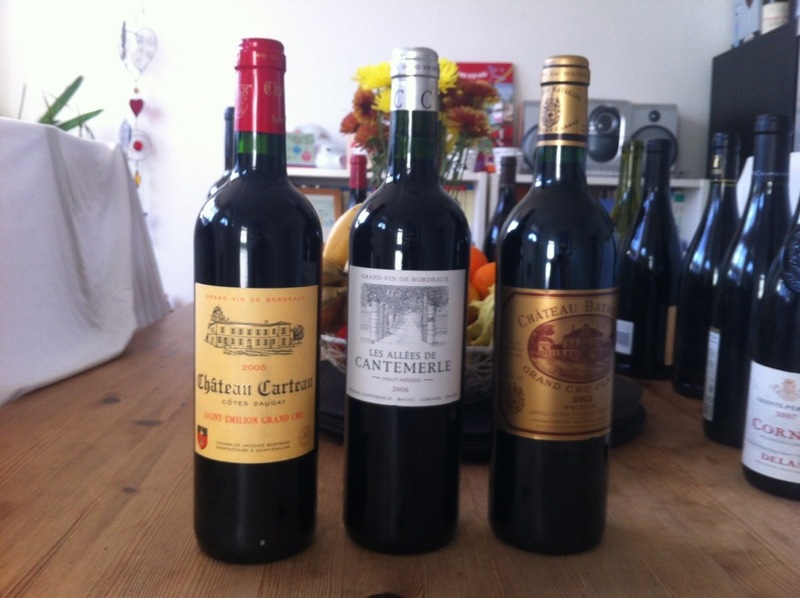 chateaux of Latour, Lafite, Mouton and Margaux. Medoc wines are made primarily with Cabernet Sauvignon, with a bit of Merlot and/or Cab Franc. On the left bank you will find the famous appellations of Pomerol (I’m sure you’ve all heard stories of business men in London spending thousands of pounds on Petrus to impress potential investors) and St. Emilion (Cheval Blanc is probably the most famous chateau here). Pomerol’s main grape in the blend is Merlot (Petrus is normally 100% Merlot), whereas Cabernet Franc becomes more important in St. Emilion. Bordeaux wines are often characterised with blackberry and blackcurrant fruit, pencil-shaving type minerality (sounds weird but it is wonderful!) and big tannins which mellow over time but work brilliantly with red meat. Other flavours and aromas often associated with Bordeaux are woody/cedar and even eucalyptus (especially if the main grape in the blend is Cabernet Sauvignon). Prices for the top wines are astronomical but there is plenty of value on offer around the £10 mark. Also, most of these wines require a minimum of 10 years cellaring before reaching their best; not ideal if you’re after a nice bottle to go with your steak tonight! 2009 and 2010 were superb vintages and are starting to find their way onto supermarket shelves and merchant wine lists so keep an eye out. If Bordeaux is powerful, then Burgundy is spiritual! The home of Pinot Noir and the most expensive wine in the world, from Domaine de la Romanee Conti… £15,750 for a bottle of 2009 anyone?? From North to South we start in the Cote de Nuits, head down into the Cote de Beaune (together these make up the famous Cote D’Or), then comes the Cote Chalonnaise (you’ll find great value here) before we get to Beaujolais. All red wines from the Cotes are made using pinot noir. Beaujolais is made with Gamay. The classification of wines in Burgundy is actually pretty simple. 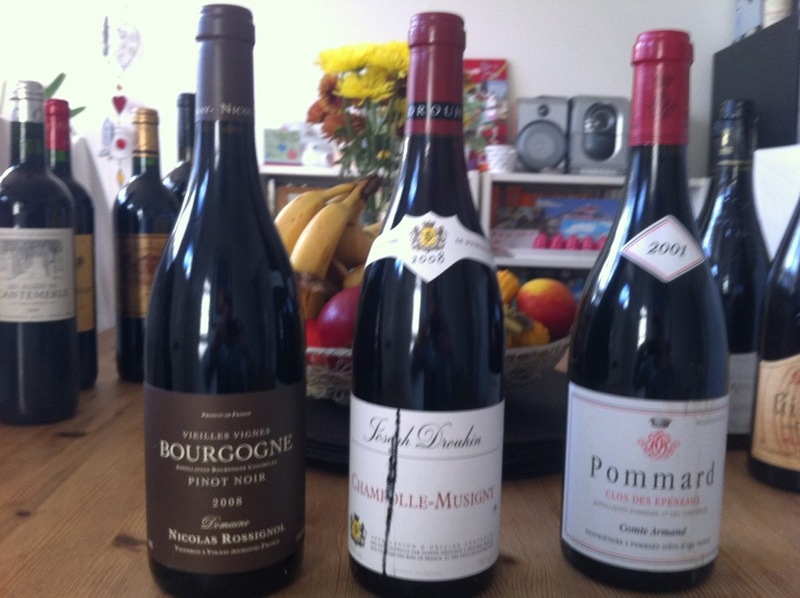 On the Cote D’Or the entry level is Bourgogne, the next step is to sub-regional wine such as Côtes de Beaune Villages, Côtes de Nuits Villages, Hautes-Côtes de Beaune or Hautes-Côtes de Nuits. These, like the white wines, are from lesser know villages or a blend of grapes from here, there and everywhere. We then move up to Village wines, which have the name of the village where they were harvested on the label. 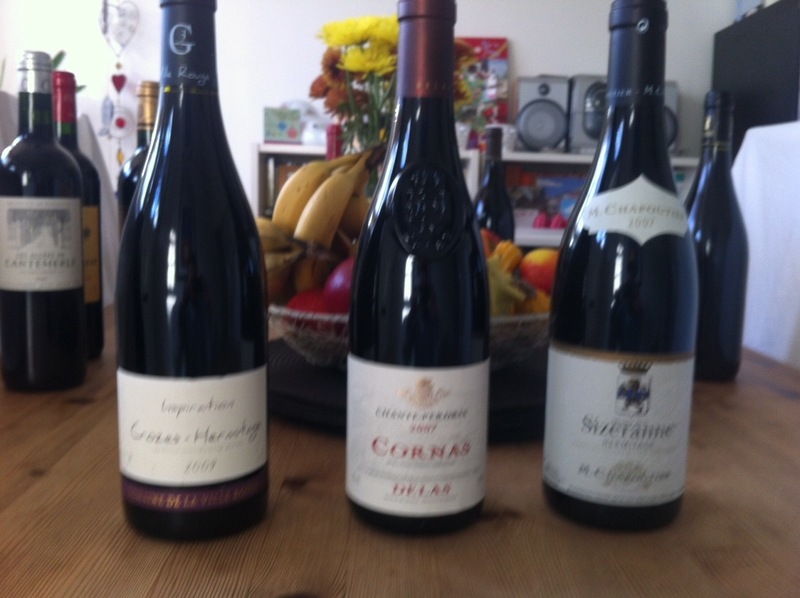 Examples of these are Volnay, Alox-Corton, Nuits St George and Gevrey Chambertin. The next after this is to 1er Cru, which are vineyards that have been designated the best in the appellation (e.g. Volnay 1er Cru). Each of the vineyards also have their names on the label, for example Volnay (village name) 1er Cru (classification) Taillepieds (name of the vineyard). The top of the tree is Grand Cru. There are 25 red vineyards at this level and prices can be astronomical. Now that seems pretty straightforward… but we’re talking about French wine here, so here’s the twist! In Bordeaux each plot of land is owned by a Chateau. In Burgundy, each vineyard is split between many producers, the Grand Cru of Clos de Vougeot has more than 100 different growers owning vines within its walls! So finding a god producer can be as important as choosing by classification. A great winemaker’s village wine may well be better than the poor winemakers Grand Cru. You will be more familiar with the wines of the southern Rhone, but the Northern Rhone is home to some wonderful inky, spicy red wines. The key grape of the region is Syrah, better known to most of us as Shiraz (yes, they are the same!). There is no classification as such in the Northern Rhone, but possibly the pinnacle of the crop is Cote Rotie. Cote Rotie can be loosely translated as the “roasted slope” due to the many hours of hot sunshine the amazing aspect allows it. This is also expensive wine and there are 3 reasons for this. The first is that it is a small area and production is low and in demand (only 224 acres planted), secondly the slopes are so severe that special pulley systems have had to be implemented in many parts in order to harvest the grapes, and thirdly, it tastes bloody great! The next big name of the Northern Rhone is Hermitage. Hermitage is an amazing hill which overlooks the town of Tain l’Hermitage, just on the right bank of the Rhone River. Again syrah is dominant, although up to 15% of the white wine grapes Marsanne and Rousanne are permitted in the blend, they are very rarely used (up to 20% of Viognier is also allowed in Core Rotie). The surrounding areas of Hermitage are labelled Crozes Hermitage, and on the other side of the river is St Joseph. These two appellations produce some really excellent (and variable) wines at affordable prices. The other important appellation in the region is Cornas; and the most interesting fact is that this wine HAS to be 100% Syrah. I’ve got a couple of these from the 2007 vintage lying in wait for Xmas 2013! And what should expect from these syrah-laden wines? Well lots of power, tannin and acidity. Inky dark colours, with blackberry fruit, dark chocolate, black pepper and… Wait for it… smoky bacon! Delicious! Spicy Grenache is the king grape of the Southern Rhone, and is usually more than 80% of the blend. In this region there is a classification, which is pretty straightforward and also a pretty fine indicator of quality! We start with simple Cotes du Rhone. We’ve all had it and all thought, do you know what, that’s not half bad. And there are some very good ones out there. Many of the big name Rhone producers make a Cotes du Rhone – Guigal, possibly the biggest name in the Cote Rotie, makes one and you can buy it in Majestic for £10.99! We then move up to Cotes du Rhone Villages, which is a selection of 95 communes and then on to the “better” Cotes du Rhone Villages, which over the years have produced better quality wines and are allowed to append the village name to the label. There are 18 of these villages and my faves are Sablet and Cairanne. Next, and finally, we come to the “Crus”. These are villages and areas that have consistently produced top-notch wine and have the right to simply call the wine by where it’s from. 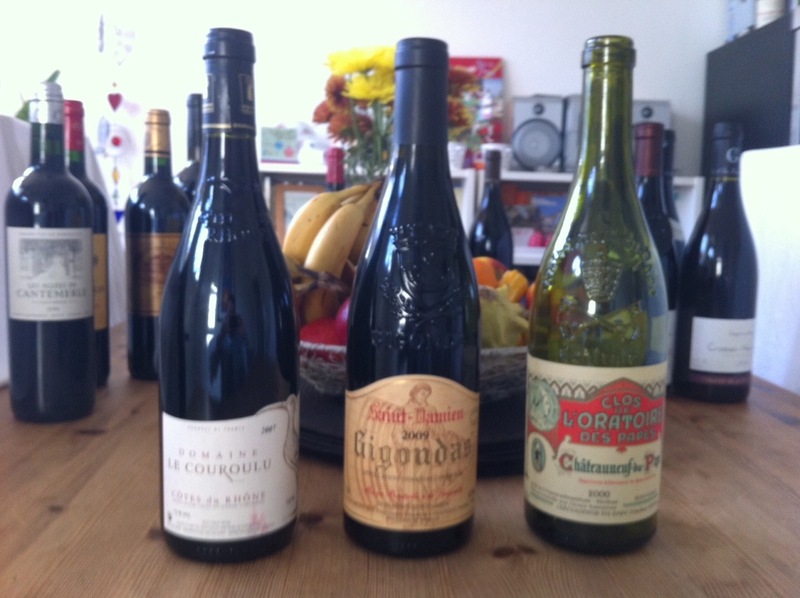 The key Southern Rhone Crus are Lirac, Rasteau, Beaumes de Venise, Vaqueyras, Gigondas and Chateuneuf du Pape. Again, like Burgundy, finding a producer you like and trust is key in these appellations, and certainly worth the effort to find. Wines made primarily from Grenache have brambly fruit flavours and lovely spicy and herby notes. Lots of black pepper and after a few years they start to smell like Christmas. Also you can often smell and taste the wonderful aromas in the southern French air. Posted on December 8, 2012, in Learning and tagged Bordeaux, Burgundy, Coop, Favourite, France, M&S, Majestic, Rhone, Sainsburys, Waitrose. Bookmark the permalink. 2 Comments. Great summary. Easy to digest and understand. Thank you for saying so! I love wine from all,over the globe but always go back to France fir benchmarks.